Images of the Black Mountain Rock Art District in the Mojave Desert, California. Vandalism or historic significant? 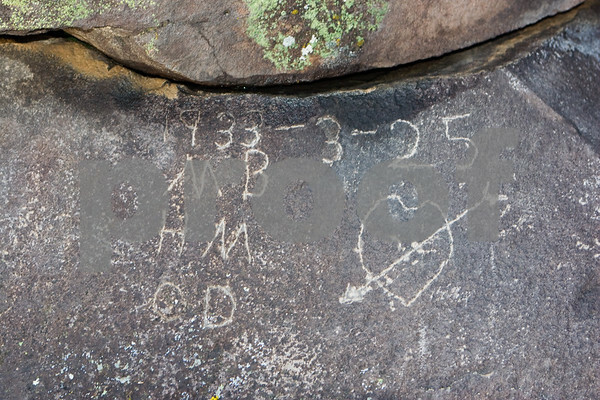 Three sets of intials and heart carved into the rock along Black Canyon in the Black Mountain Rock Art District of the Mojave Desert, California.